Nothing too distinguished but here you go. The flowers looked a little past their prime, but I liked the tendrils and seed pods. 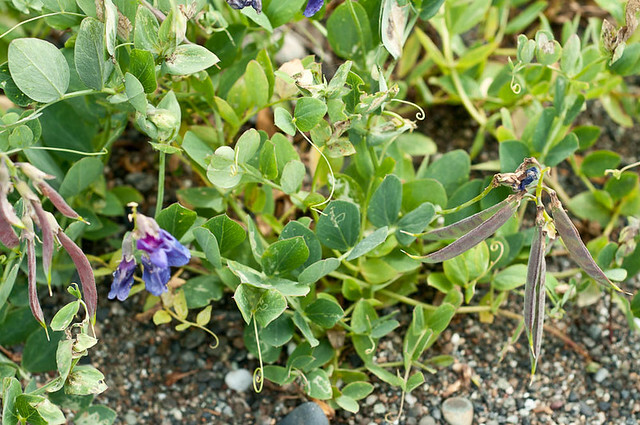 According to Plants of the Pacfic Northwest Coast, the Haida called beach pea “Raven’s canoe” because of the shape of its seed pods, which are black when ripe.